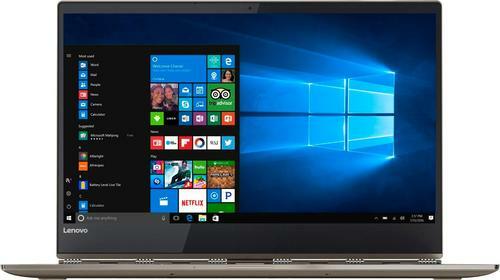 Small but packs a punch in terms of processing power the Lenovo Yoga 920 has the latest processor from Intel. The Core i7 provides the speed and reliability to run applications and games. The full HD screen can flip to 360 degrees making it a instant tablet device. In terms of memory the 8GB ram offers great multitasking capability and the 256GB solid state drive for faster data access. This has the 8th generation of processor from intel with quad cores offers faster capability and runs programs easily. With a total of 1920 by 1080 of maximum resolution it offers sharp and beautiful screen quality on the 13 inch screen. Plus it can flip up to 360 degrees making it a instant tablet computer. It can multitask multiple programs at the same time and it can open multiple internet browsers without affecting the overall performance and speed of the laptop. Good spacious storage but faster data access and data transfers because solid state drives performs faster than regular SATA hard disk drives. One of the latest integrated GPU that shares memory from the system. It can stream or play videos with up to full HD resolution and can run games as well. 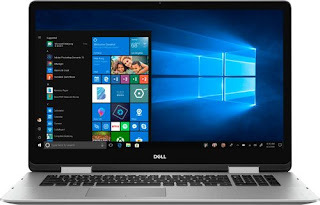 Access windows faster without typing the password on the keyboard by just using the fingerprint sensor and it can store multiple fingerprints to be able to share the laptop for the whole family. The Lenovo 920 laptop is maybe one of the best performing 13 inch laptop that has 2-in-1 touchscreen display. It has great battery life that last on a whole day of regular usage and the small 13 inch profile is perfect for students or travelers. It is well built but there seems a issue on heat exhaust as this laptop throttle at heavy usage. For the price you get for the features and specifications I think this is a great laptop if you are into portability.